(RTTNews.com) – BioCryst Pharmaceuticals Inc. ( BCRX ) will be reporting results from OPuS-1, a phase IIa trial of orally-administered BCX4161 in patients with hereditary angioedema, on Tuesday, May 27, 2014 at 8:30 a.m. Eastern Time. 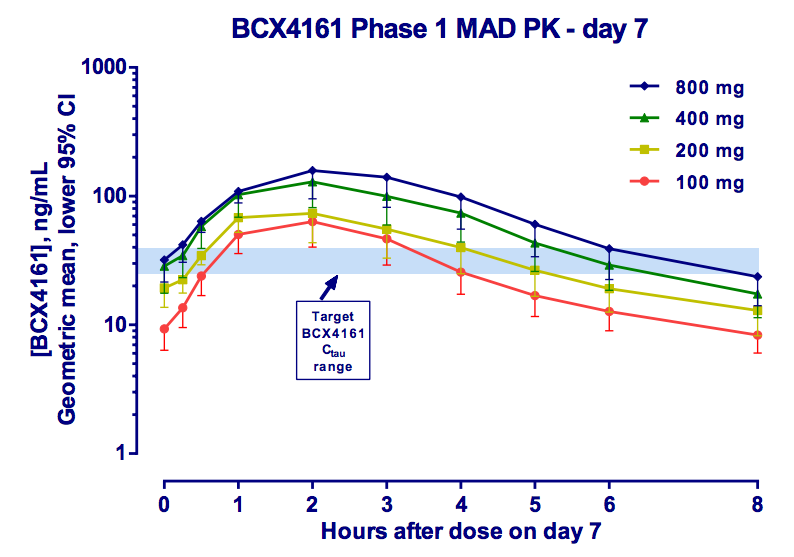 The OPuS-1 clinical trial is testing 400 mg of BCX4161 administered three times daily for 28 days in up to 25 hereditary angioedema patients who have a high frequency of attacks (â‰¥ 1 per week), in a randomized, placebo-controlled, two-period cross-over design. 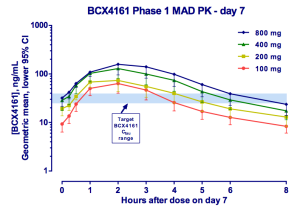 BCX-4161 is a novel, selective inhibitor of plasma kallikrein in development for prevention of attacks in patients with hereditary angioedema (HAE). By inhibiting plasma kallikrein, BCX-4161 suppresses bradykinin production. 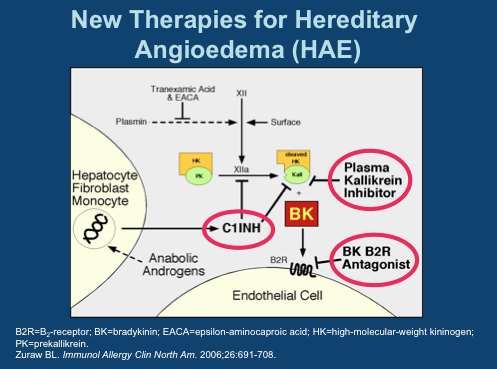 Bradykinin is the mediator of acute swelling attacks in HAE patients. 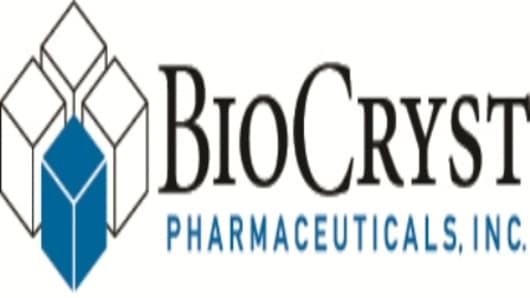 BioCryst announced on Monday July 22 the successful completion of a Phase I study on the safety and PK of BCX4161, a candidate for the treatment of Hereditary angioedema (HAE). HAE is a genetic disorder resulting from the loss or dysfunction of complement C1 Inhibitor (C1INH). Among the functions performed by C1INH is regulation of the hormone bradykinin, which when activated, leads to the dilation of blood vessels. Left unchecked, excess bradykinin can cause painful attacks of swelling, or angioedemas, in any part of the body, including the face, abdomen, hands, and larynx. Death can occur from asphyxiation, particularly in children. The mechanics involved in HAE are fairly well understood today. There are several approved drugs available today that work at three major points in the pathway. Ultimately, each prevents bradykinin from activating its receptor on endothelial cells. 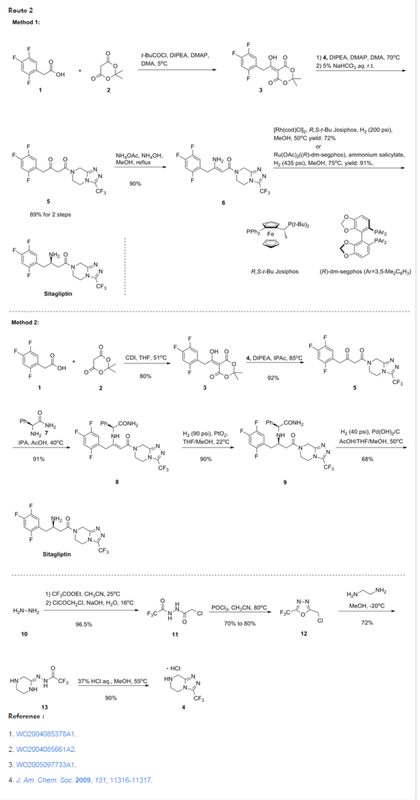 C1 Inhibitors, of which four have been approved, prevent Factor XIIa activation of Plasma Kallikrein and inhibit Kallikrein itself. The single specific Kallikrein inhibitor is Kalbitor from Dyax. C1INHs and kallikrein inhibitors prevent the formation of bradykinin (labeled “BK” in this diagram). Then there is Firazyr from Shire, a B2 bradykinin receptor antagonist; while not preventing overproduction of the hormone, activation of downstream activity is suppressed. Interestingly, of all the available therapies, only C1INH Cinryze from Viropharma is approved for prophylactic use- all others are designated strictly for treatment of acute attacks. A key reason for this is Cinryze’s long half-life, allowing sustained activity over longer intervals. As each of these drugs are given by injection, frequent treatment is not practical. Consider, for instance, Kalbitor has a half life of just two hours. This is where BioCryst comes in. The company is pursuing the less crowded prophylaxis indication. It has the only orally available (although just barely) plasma kallikrein inhibitor. And while PK is not great, requiring three-times daily dosing to ensure adequate drug levels, pills make this a feasible option. As you can see, 800 mg appears optimal, however, 400 mg was selected as the Phase IIa dose due to 3 cases of moderate AEs seen at 800. This study was in healthy volunteers and the drug was otherwise well tolerated [ref]. BCX4161 is not a specific inhibitor of kallikrein, and in fact has near equal potency against Factor XIIa. This dual-activity is also seen with C1INH, setting the compound apart from Kalbitor and Firazyr. The different profile may improve efficacy, but that is unknown at this point. 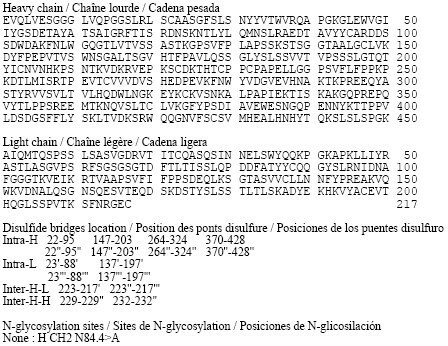 Along with Factor XIIa, BCX4161 inhibits additional factors involved in coagulation. Bleeding issues has been something the company has been testing and will be certain to monitor. As a drug designed for chronic use, safety will be a major concern. Individuals with a high frequency of attacks(~1/week) will be enrolled, the primary endpoint is attack frequency. Viropharma conducted a pivotal trial of similar design (but two twelve week dosing periods), reporting ~50% reduction in attacks vs. placebo. We imagine BioCryst would need to achieve results in this range for the drug to be competitive. A major impedance toward these efficacy goals will likely be individual adherence to dosing every eight hours schedule. Missed doses will mean severe drops in drug levels, potentially putting the patient at risk for an attack. The company noted patients on Cinryze occasionally miss doses with no apparent adverse effect. We will see if this holds true for their own compound. The Phase IIa is being run in Germany, ostensibly because of the country’s well organized HAE medical treatment system. The study is expected to initiate in 4Q 2013. BioCryst aims to market the drug in the U.S. on their own, likely partnering in the EU. Handicapping this Phase II is rather difficult with the lack of any prior efficacy results. BioCryst has selected a well-validated target in a fairly well understood disease. The data suggests BCX4161 is an active drug. What we will soon find out is whether the compound is active enough and has a sufficiently clean profile. As attractive as oral dosing is- it has an achilles heel. Regardless of the medication, patients continue to have attacks, only of less frequency and severity. If a patient should suffer major laryngeal swelling, pills may not be an option as a rescue medicine. Cinryze on the hand can serve as both prophylaxis and acute treatment. Commercially, we believe the compound will have a difficult time competing with Cinryze. True, Cinryze has its own issues, namely a requirement for infusions every 3 to 4 days, but it is difficult to see how a 3-times/day treatment is much of an improvement. In any case, by the time BCX4161 reaches the market, Viropharma should have a much simpler subcutaneous version of its C1INH available, allowing it to maintain a strong monopoly in prophylaxis HAE treatments. Additional competition may come in the form of a follow-up kallikrein inhibitor in development at Dyax; the long acting antibody is designed specifically for the prophylaxis market and is expected to enter the clinic 2H 2013. By DR ANTHONY MELVIN CRASTO Ph.D in Phase2 drugs on May 29, 2014 .